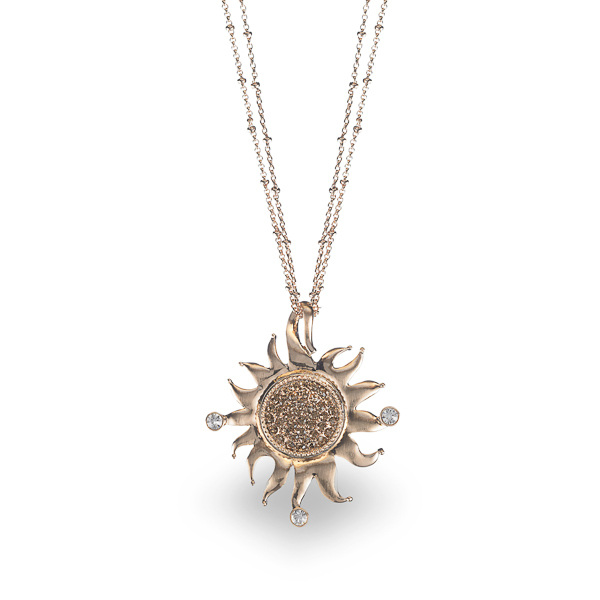 Description: Amabel's Blazing Sun Necklace shines brilliantly with a mix of brushed and shiny champagne gold color finishes, adorned with light colorado topaz crystals in the center and clear crystals on the edges. This versatile pendant necklace comes with double rolo chain with nugget stations. Enter Quantity for N-AE005 to add to your shopping cart.